Are you ready to learn advanced diving skills that will help you when diving independently or with an unskilled buddy? 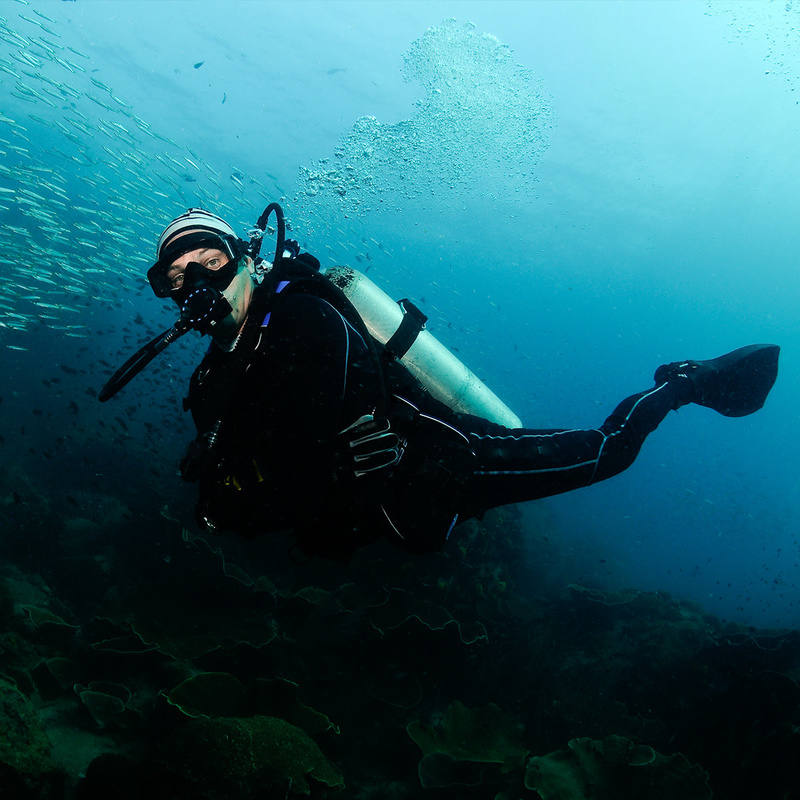 Take the PADI Self-Reliant Diver Course with Total Diving. The PADI Self-Reliant Diver Course is a specialty course that allows you to become a better diver all around. This is the perfect course to practice your skills while also learning how to moderate risk while remaining within no-decompression recreational limits. Becoming a self-reliant diver is a great step to future autonomy, and is well within the skill sets of most recreational divers. To take the PADI Self-Reliant Diver Course, you must be at least 18 years old and hold a PADI Advanced Open Water Diver certification. You must have also logged a minimum amount of dives and must complete a skills assessment with your Self-Reliant Instructor. This course requires a good amount of experience, maturity as a diver, and some skill. While this is a popular specialty for recreational divers, it might be worth it to take a few other specialties first to continue your training before this course. This course helps you assess potential risks, shows you the value of equipment redundancy and necessary back-up gear. Through three dives, your instructor will help you develop self-reliance skills, independence, and will show you have to be a stronger diver in a team or pair. By learning to rig and carry redundant air systems, calculate an accurate gas consumption rate, and increase skills with proper DSMB rigging and navigation, this course will put you to the test. If this course sounds like something you’re interested in completing, contact us by phone, email, or in store to set up a date. We have specialty courses running throughout the summer to accommodate varying interests in the community.